Leonard will continue to discuss how you may help clients use estate planning to save income tax for themselves and for their heirs including planning to increase tax basis of inherited assets and assets in some trusts. His discussion includes how to reduce the income tax incurred for assets to be left in traditional non-grantor trusts for beneficiaries, why clients should consider an often better alternative than portability, what to consider when advising families about the benefits to them of preparing a complete estate tax return even if no estate tax may be due, how to increase wealth by compounding income at higher pre-tax rates instead of lower after-tax rates by using a special trust or to a lesser extent by using Roth IRAs, and why some families may benefit under current law by using GST exempt trusts. Leonard will discuss some techniques to help wealthier clients save estate tax and some powerful strategies that can save both income tax and estate tax. He will also explain how to use non-grantor trusts to add one or more 20% deductions to family members whose trust owns an interest in a pass through entity and how such trusts may be used to increase income tax deductions and/or to get the economic benefit of an increased deduction. Admission is FREE. The webinar program is for AAA-CPA members only. Not a member? Join today at www.attorney-cpa.com/join. Registration is available at www.attorney-cpa.com or by phone at 888-ATTY-CPA ext. 2. 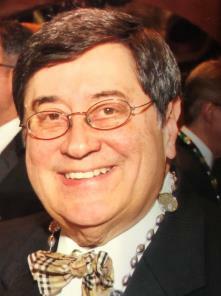 Leonard Weiner, J.D., C.P.A., M.B.A, AEP® is certified in Tax Law and in Estate Planning and Probate Law by the Texas Board of Legal Specialization, a certified Elder Law Attorney by the National Elder Law Foundation, and he is an Accredited Estate Planner by the National Association of Estate Planners and Councils. Collaborating with his clients' other advisors, Leonard helps clients by creating trusts, entities, and strategies designed to help medium to high net worth clients in the many states where he is licensed to practice law. Leonard has been recognized as one of "Texas' Top Rated Lawyers in Estate Planning" by Law.com, as an outstanding Estate Planner by the Texas Monthly, and named as a Texas Super Lawyer for Tax. He is a frequent speaker regarding techniques for saving income, estate, gift and generation skipping taxes. In his spare time, Leonard is a Member of the Board of Directors for The Lewis and Joan Lowenstein Foundation, a Texas nonprofit charitable Foundation. Click here to read Mr. Weiner's full biography. AAA-CPA continuing education programs are designed to meet the needs of Attorneys and CPAs and to qualify for credit both as CPE and CLE. Of course, the decisions of various state authorities determine the actual credit granted. There are no prerequisites or advance preparation requirements for this course. The American Academy of Attorney-Certified Public Accountants, Inc. (AAA-CPA) is registered with the National Association of State Boards of Accountancy (NASBA) as a sponsor of continuing professional education on the National Registry of CPE Sponsors. State boards of accountancy have final authority on the acceptance of individual courses for CPE credit. 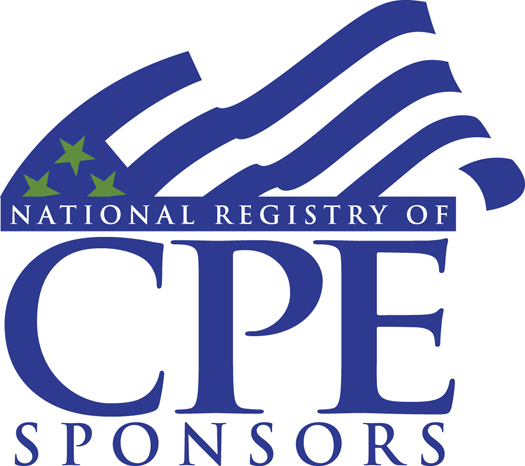 Complaints regarding registered sponsors may be submitted to the National Registry of CPE Sponsors through its website: www.nasba.org. (M)CLE varies by state. Though we are accredited for (M)CLE in PA they will not accept webinars for credit. If you require (M)CLE in a specific state, please send a request to info@attorney-cpa.com prior to the program date and we will do our best to arrange for credit. Please note that most state bars will accept our Certificates of Attendance sent in by the attorney and NOT charge a fee. A general Certificate of Attendance will be made available for those professionals who feel the program satisfies their continuing education requirements and are able to self-file. It is the responsibility of the attendee to determine whether their state, discipline, or designation will allow one to self-file for a distance-learning program. Early registration ends on Mar 19, 2019. Regular registration starts on Mar 20, 2019 and ends on May 17, 2019. Late registration starts on May 18, 2019.